I touched on something last week in an article I wrote. I poked away at a sleeping, angry bear deep within me, and it stirred about in its cage. It demanded release, and that’s where we are today. But we’re going to try to channel that into something positive. We’re going to take those negative feelings and turn them upside down! Eh, we’ll see how it goes, let’s not get ahead of ourselves. My favorite characters of all time are… nontraditional. Chad, Andy, and I have compared our personal top ten lists on this matter on an episode of the podcast that I personally hope never sees the light of day. It was the first thing we ever recorded together for Ghosts Of The Stratosphere, and it’s a friggin’ mess. Regardless, I have always tended to gravitate towards characters that aren’t universally beloved or appreciated. Sure, my #1 is Spider-Man, but if you truly love comic books, your favorite character SHOULD be Spider-Man. If it’s not, you’re doing something terribly wrong, and you need to get yourself right with your god. Go back to comic book school. But enough about your shortcomings… back to me. Two of the characters on my list are the X-Men youngster Jubilee and the Green Lantern Kyle Rayner (So… er… who is it that should be going to comic book school again? Forget I said anything; you’re probably doing fine). What these two characters suddenly have in common (besides my affection), is that within the last year, they have undergone changes which reversed course on other, previous changes they had experienced. And while one was handled exceedingly well for my money, the other… substantially less so. Let’s compare! Jubilation “Jubilee” Lee (and yeah, that name…) was created in the 1980’s by Marvel Comics (and Chris Claremont in particular) to be the new young, hip, fish-out-of-water character in the X-Men to replace the long-since departed Kitty Pryde. Jubilee became a staple of the X-Books throughout the 90’s and was even a prominent character on the popular Saturday morning cartoon show. But for this article’s purpose, let’s just go as far back as 2005’s House of M.
With the conclusion of House of M, Jubilee–who had not matched her mid-90’s peak as a character in almost a decade–was one of the many mutants on Earth stripped on their powers. No longer actually a mutant, she floated about the Marvel Universe for a while before finding herself back with the X-Men for a story called Curse of the Mutants, wherein she was given a starring role. In Curse, Jubilee became infected with vampiric blood. Shortly thereafter, under its influence, she was turned into a full vampire by Dracula’s son, Xarus. She turned heel as an evil vampire, started dressing and being drawn as way more adult than she ever had been before, and assisted Xarus in his assault on the mutant heroes. But even after being rescued by Wolverine and the X-Men and rehabbing her vampirism to where she could control it, being a vampire was her new status quo; in the Marvel Universe, there is no known cure for the disease. Fast forward a bit, and Jubilee had rejoined the X-Men and even become the adoptive mother of a baby she found after a bombing. In some time, she was made a teacher at the school and put in charge of the class of underperformers in the rebooted Generation X title. I bought Generation X because I’ll buy anything with Jubes, but it turns out I may have been the one of the few because the series only made it about a dozen or so issues before it was cancelled. On their way out, the creative team of Christina Strain and Amilcar Pinna decided to reboot Jubilee by way of Quentin-Quire-controlled-Phoenix-Force all the way back to her pre-House of M settings. 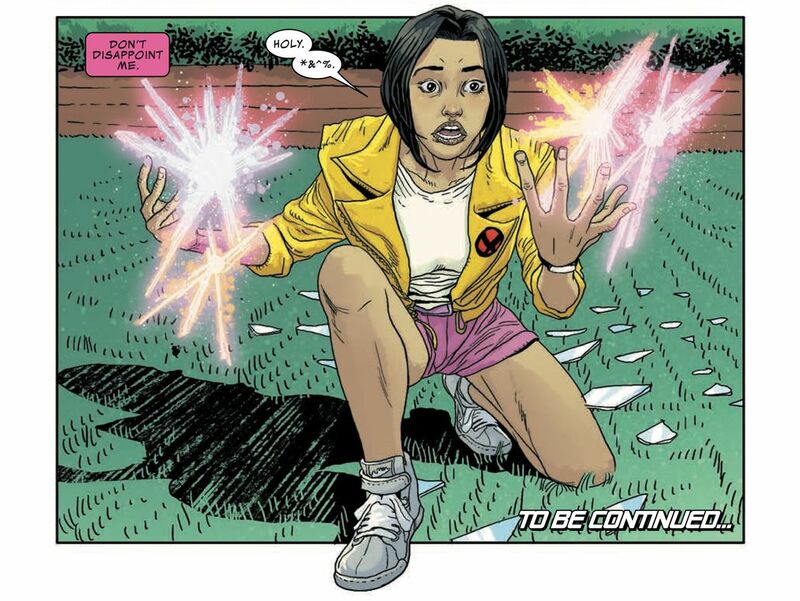 Burning to death in the sunlight (or burning to whatever an already-dead character experiences when they cease to be), Jubilee was not only returned to life by the Phoenix Force, but given her mutant powers back in the process. I was hesitant upon reading the advance reports that this would be the case. Jubilee had really found herself as a post-90’s character with her changes, and her coping with both her vampirism and her relationship with Shogo (the child she adopted) made her feel like a newly realized character. She had an arc and came through it on the other side and should have been moving forward. But what Strain and Pinna did was not out of laziness to just reset a character to what they had in their heads from their youth; they gave that arc completion. Jubilee had grown from her teenage impetuousness and had become a wholly new character, so by “reverting” her to her previous mutant (and, uh, alive) statuses, they were giving her a conclusion wherein she was rewarded for still finding ways to be a hero despite her circumstances. Additionally, she was still a mother to Shogo, and still (presumably… like I said, the book is cancelled) a teacher with the X-Men, so most of her personal changes were intact… she just has her old powers back. Unfortunately, Generation X is no more, and I’m unsure if Jubilation has appeared in any other books since then. But if she did/does, I hope the creative team does as right by Jubilee as Strain and Pinna did. They took a concept I was wary of, but made it work because they respected the character and made it feel like the natural course of his story. 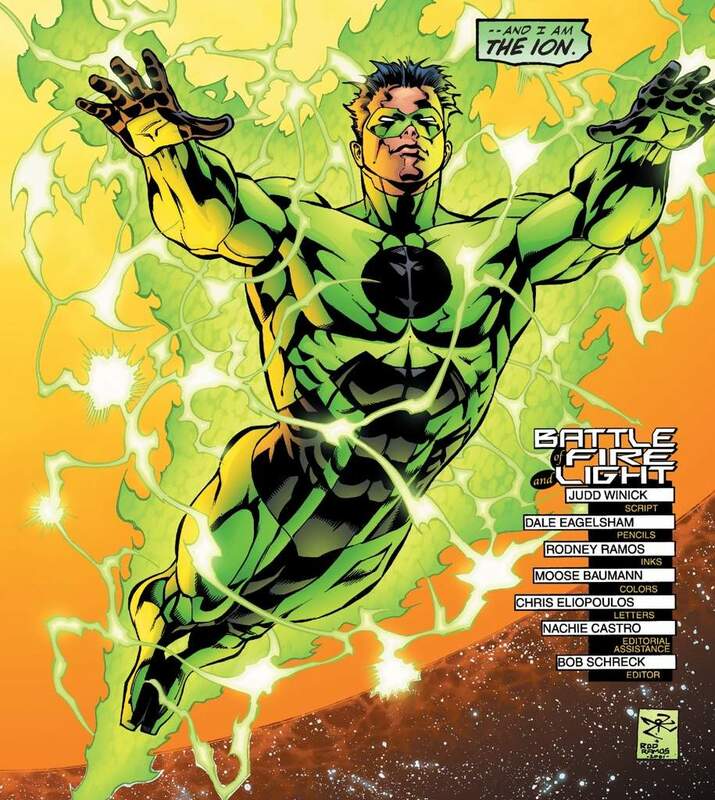 Kyle Rayner began as an early 1990’s replacement for Hal Jordan after Jordan became Parallax. No longer was there a Green Lantern Corps; Kyle was now the last Lantern in the universe. And he would remain that way for quite some time, proving himself both as a member of the Justice League and as a solo hero, until he tapped into the power of Ion hidden away inside the sun. With that power, he restarted the Oan power battery, created a new batch of baby Guardians for Ganthet to raise, and was now the Torchbearer… the Lantern who would carry the Corps in their darkest hours. Soon, Hal Jordan would return because DC became re-fascinated with their old guard and shuffled aside Kyle and Wally West to revive Hal and Barry Allen (both of whom had satisfying story arcs as characters and had nothing left to prove, but the editors at DC were hungry for the past, so nuts to that). 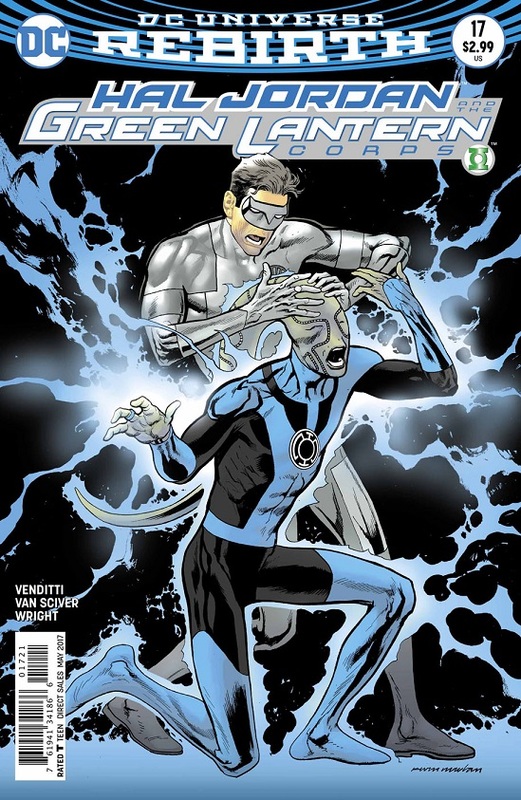 With Hal back, Kyle was relegated to lesser titles, guest-starring roles in Green Lantern, and was generally regarded as the inferior character. During the New 52, Kyle was given his own book, New Guardians, wherein he worked with members of several of the other light spectrum corps after having a ring from each forced upon him. In an effort to save Ganthet from being mind-controlled by the other Guardians (jeez, Ganthet… guess you did a crappy job with those kids), Kyle worked hard at training with members of each Corps, and gained the ability to control all his new rings. He became the White Lantern. It was a change that freshened Kyle up, made him feel important, and separated him from Hal and the rest of the GL Corps. The book was honestly not that great–having no DC behind-the-scenes knowledge whatsoever, I can only say it feels like it suffered from having its stories pulled out from under it to benefit other titles or crossovers–but it was great having a book dedicated to Kyle and interested in making him meaningful again. Hal Jordan & The Green Lantern Corps #17 is probably the most personally insulting and infuriating comic I have ever read. I’m not saying it’s inherently bad or poorly done or anything like that, but as a Kyle Rayner fan, I felt like the issue was trying to make me feel like a fool. I will explain. After several issues of Kyle acting like little more than a self-defeating dope who shouldn’t have even been able to figure out how to put a ring on, much less be the Torchbearer of the Corps, Hal and Kyle have a moment to talk. And their “talk” is two pages of Hal monologuing and telling Kyle that the former is the best Green Lantern there ever, ever was. He lists all of his own recent accomplishments and talks about how he is the best ever and no one can do what he has done, but hey… Kyle is swell in his own way, because he is the only Lantern to master all seven lights. At no point does it feel like anything a character would naturally say… it just feels like an author speaking through his work. So while the speech is basically just Venditti telling us that Hal is the only worthwhile Green Lantern, he throws Kyle a bone by reluctantly admitting to Kyle’s greatest accomplishment. I’m not entirely sure that’s what the creative team was shooting for, but it’s absolutely what they accomplished in my eyes. And do you know how that issue ends? The issue where we are told the only reason for Kyle to exist is that at least he has the White Light? It ends with Kyle losing the ability to channel any energy besides green. It ends with his white ring being destroyed–more out of nowhere than an RKO–and the multiple rings that made it up flying off to find new owners. Kyle Rayner–the guy who survived going into The Source Wall, the guy who got his stolen White Light powers back from Highfather of the New Gods–just loses the power after trying to find Hope through Saint Walker… it’s really weird and nonsensical, I don’t know. The whole scene, I don’t really know what’s going on, and I read the issue several times just to see if I can work it out. He loses his other rings, but regains his green one and is now there wearing… a Green Lantern outfit he had not donned in AGES and certainly was not the one he was wearing right before he became the White Lantern. It’s like the creative team thinks Kyle was still trapped in 1995 and never progressed as a hero. That… actually explains a lot about this series. I dropped HJ&TGLC immediately. Never picked up any subsequent issue. I was not even a little bit interested in where this story was going. Why should I be? I was buying it for Kyle, and the creative team directly told me the only worthwhile aspect about Kyle was that he was a White Lantern (and hell, even with the White Light, they still made him out to be barely functional) before taking it away from him. How on Earth does that entice a fan to keep reading? The book feels like it was written out of spite. Compared to what Strain and Pinna achieved in reversing a change in a positive way that was simultaneously a step backwards AND progress, this just felt like the throwing away of years of development. Strain and Pinna felt like they respected Jubilee in Generation X; whether it’s true or not, this book felt like a writer who just wanted to dump on a character he didn’t care for. I don’t want to be presumptuous–I don’t claim to be inside any creators’ heads–but that is exactly how it reads. So what’s the takeaway here? “Different writers do the same thing differently”? That’s a weird moral. “It’s better to hire writers who don’t seemingly hate a character to write that character”? That should have been more obvious. Maybe there’s no big point here. There usually isn’t. Haven’t you read my articles before? This is all by the seat of my pants. Still it is interesting to see the difference between these two approaches. I hope Marvel starts publishing a book featuring Jubilee again soon. Also, I hope DC puts Kyle in a book with a creative team who is confident he can tie his own shoes without Hal’s help. But I’m the sucker who likes characters who don’t move units, so I won’t hold my breath.